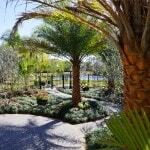 Providing Orlando and Central Florida with Excellence in Landscape Design & Management for Over 25 Years! 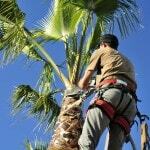 Greener Industries provides residents in the Orlando area with premier landscaping services. We have been in business for more than 30 years and have a variety of services we can provide you, whether you are looking to get your lawn cut, or you want a completely new landscaped property. We service the Orlando area, as well as other areas throughout the Central Florida region. Our reputation has grown over the years and that has a lot to do with our dedicated service and unparallel experience. Our family owned company can offer you a complete property makeover, or a tailored selection of different solutions that we have outlined below. 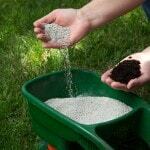 Greener Industries offers a very wide assortment of services for your landscaping needs. Give us a call if you would like a consultation or to learn more about our company. All of the services that we have listed above are the most commonly provided, keeping lawns and properties in the Orlando area beautiful and maintained. Many that live in Orlando can refer you to our great quality work in the landscape industry. Maintaining a masterful property can be quite extensive and upkeep, but you do not have to worry about any that once you give us a call. Design and installation are two services that go hand and hand. Our company can do both as one is never complete without the other. The landscape designer should understand the installation process. The landscape installer should understand the design concept. Our team offers both services simultaneously. This way there is no confusion and much less headache for the client. We have been a part of many landscape install projects and know the quality of our work speaks for itself. If you have a walkway, bridge, pond or even an outdoor seating area that needs to be maintained, or company can help you with that as well. While we specialize in commercial landscape management, we can do some residential landscaping if the project is big enough. As above, knowing both the design intent and the long-term maintenance goals for a landscape are key to keeping a property beautiful. Our knowledge and experience in BMP or “Best Management Practices” in the industry helps us to maintain your property with minimal impact on the environment. 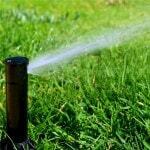 Greener Industries can provide you with the right irrigation system to get your property through the driest of seasons. We have been installing these types of systems since 1996 and can easily design, install, and repair the system we put into place for you. This service is an integral part of our Full Service Landscape Management Program. When we are contracted for irrigation along with maintenance and lawn spraying our quality guarantee is in full effect. Getting around your yard at night has never been easier since we installed your new landscape lighting. Seeing your new lighting through a digital image of your home will help you to visualize what it will look like at night and we have the software to do it. 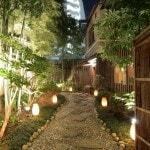 Call Greener Industries for a landscape lighting quote today. 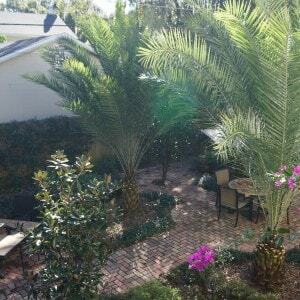 Maintaining the trees on your property is the perfect job for an Orlando Landscape company. Greener Industries provides plenty of assistance in maintaining your property when you live in Orlando or the surrounding Central Florida areas. If you can imagine a design, our experienced landscapers can make it happen. 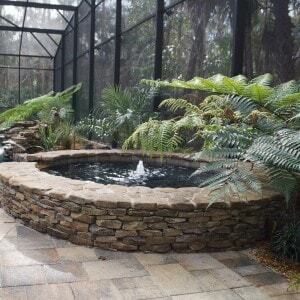 Whether it be a garden structure, fish pond, or just a walkway around your property, Greener Industries is here to help you. Visit our design philosophy page to learn more. 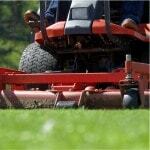 Lawn care in Orlando and throughout the country is a changing industry. Concern for the environment is now a greater factor than ever before. Current regulations are helping to reduce the impact this industry has on nature. At Greener Industries we are taking it a step further. Our Hybrid-Organic Lawn Care Program is one of the first of its kind. It gives you the peace of mind of an organic based program and the effectiveness of the standard program. Integrated Pest Management or IPM is the key ingredient to this program. It is the best way to keep your lawn and landscape healthy throughout the year while keeping a earth conscious approach. Best of all, The Hybrid-Organic Program carries the same quality guarantee as all our other lawn care programs. Just because you own a business does not mean you should be an expert in landscaping and lawn care. 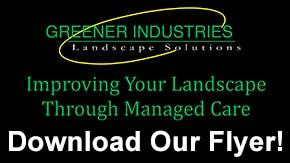 Greener Industries provides all of the services and expertise needed to keep your commercial landscape beautiful. We know that your landscape is part of your company and public image. Great properties attract great clients. Let us maintain your landscape so you can attract the clients you deserve! What sets Greener Industries apart from other landscape designers? Is it two generations of horticultural experience? Is it our down-to-earth design philosophy? Maybe it is our personal concern for the happiness and well-being of each and every client? See the case studies below to learn more. 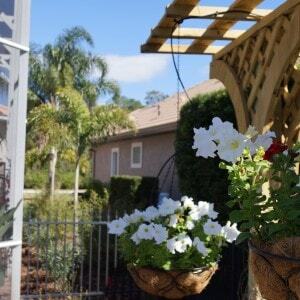 Click on the image to see each Orlando landscape design.